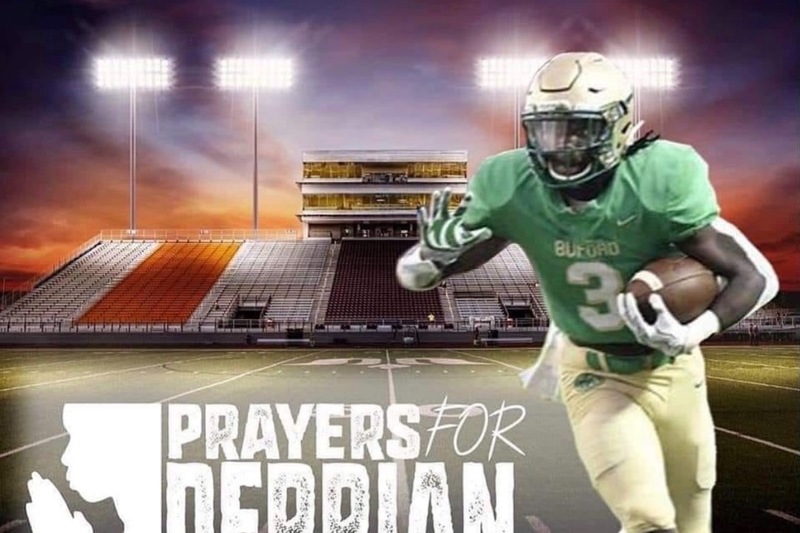 Buford Family, the time is now that we come together as 1 and help 1 of our own Derrian Brown and Family! Derrian Brown is a GREAT GUY with a BIG HEART, who loves unconditionally! Derrian has a long road to recovery and if you would like to assist in any way the family will greatly appreciate it. Please keep the Family in your prayers!! Jennifer Mcguire (mom) would like to thank everyone for the love, contributions, and prayers for her and the family!! 512-471-8193 or compliance@athletics.utexas.edu should you have any questions about NCAA rules as it relates to this fundraiser. Thank you in advance for your support and contribution. of $0.00 is now cancelled.